Handy to F Lock keyboard - and press F11 function key - to view FULL SCREEN - (press F11 again to release back to normal) ... pics are compressed to 72 pixels, -- but i've left size biggish to enjoy the birds !! 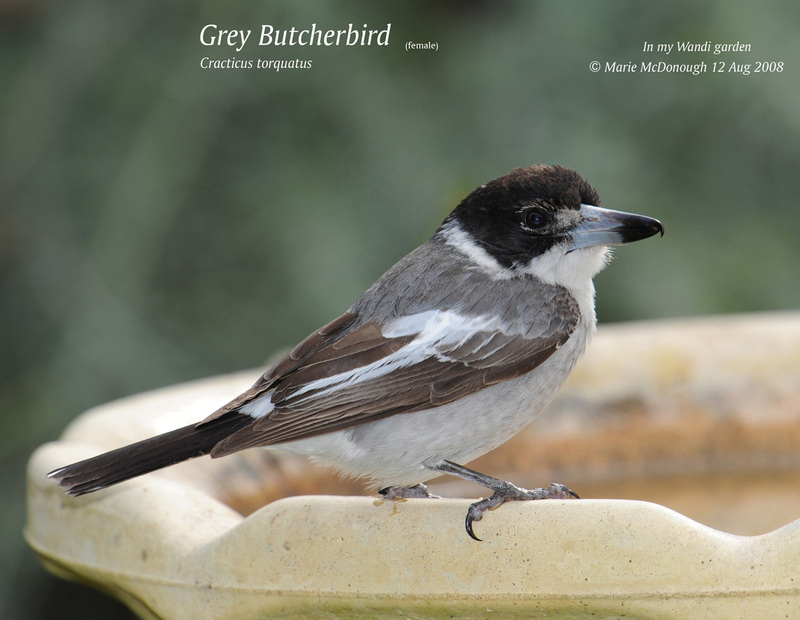 Hope you enjoy the butcherbirds in this section and more ....(most taken with my new Nikon D3 which I love). About 18 photos this section - enjoy ! !